101 Steak: After a meaty meal at this contemporary, classy destination in Vinings, dessert beckons. Far from average, confections at 101 Steak echo the savory menu in terms of creativity and illustrious presentation. Come summer, that means seasonal fruit splashed with Chantilly cream, locally sourced gelato and sorbet, and a beautiful key lime mousse with housemade ginger snap cookies. The zingy mousse perfectly toes the line between tart and sweet, with a silky-smooth texture complimented by the spicy crunch of the cookies. Marcel: Ritzy and refined is the name of the game at this elegant French-influenced eatery from prolific restaurateur Ford Fry. 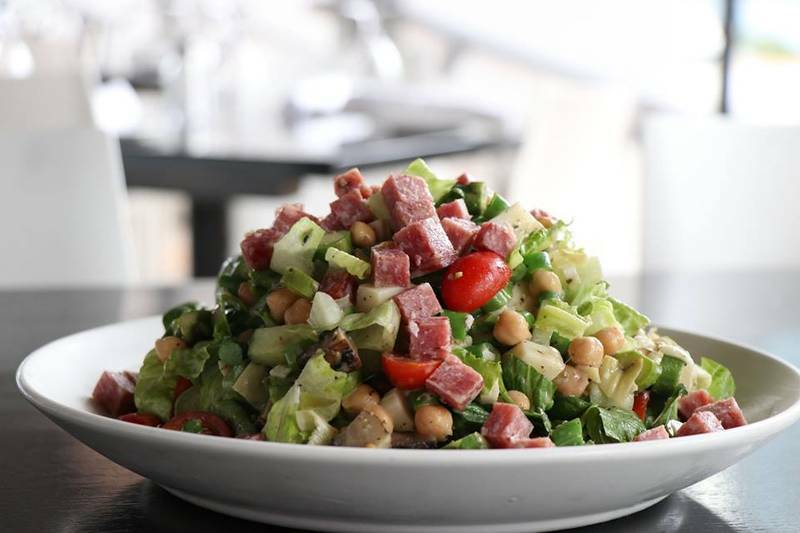 Here, classic dishes provide inspiration for a smattering of savories and sweets, each one blending elements of American and European flavors. 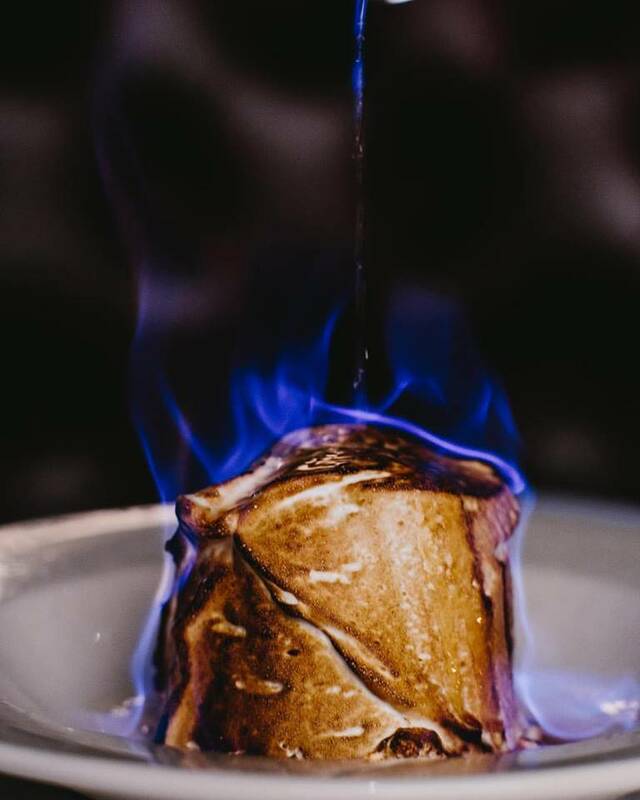 For dessert, the baked Alaska is king, set aflame with essential elements of meringue and ice cream, plus cookies and cream for added nostalgia. The baba rhum is another prim example, spiked with rum syrup and capped with Chantilly cream. Chocoholics need look no further than the chocolate delice, a chic custard-like dessert with toasted almond ice cream, caramel and sea salt. New York Prime: Pies and cakes are the order of the day at this Southern mini-chain, all of which serve as a foundation for cooling berries and ice creams. With a name like New York Prime, it’s no wonder that the steakhouse serves some of the best cheesecake around, shipped directly from New York City and adorned with fresh berries. Then there’s cinnamon walnut apple pie, served a la mode with vanilla ice cream. Or if that isn’t quenching enough, the key lime pie should do the trick. Even the chocolate chip cookies here come with vanilla ice cream, as a nod to the classic milk-and-cookies combo. Kevin Rathbun Steak: One of the most prolific and successful hospitality teams in Atlanta once again proves its mettle with menus that veer away from tradition and into an innovative, singular direction. That notion is felt throughout the savory selections, from the appetizers to the sides, and its echoed in the cooling, summery desserts as well. Like the white chocolate-matcha cheesecake with blueberry yuzu and pistachio streusel. And the warm Georgia peach crisp with Whistle Pig ice cream and local fruits. And the salted caramel bon bons with vanilla ice cream and salted chocolate glaze. Ray’s in the City: When it comes to summer sweets, the best ones are those that transport your taste buds to the beach. At Ray’s in the City, there are plenty of transportive options for that. Like the decadent butter cake with raspberry sauce and toasted coconut, or key lime pie with toasted macadamia nut and coconut graham cracker crust heaped with key lime chiffon filling. Of course, even the non-tropical flavors sing of summer here, like the restaurant’s signature praline basket served with caramel sauce, seasonal berries and vanilla bean ice cream. McKendrick’s Steakhouse: It’s not very often that a steakhouse employs its own designated pastry chef, but McKendrick’s is anything but standard. 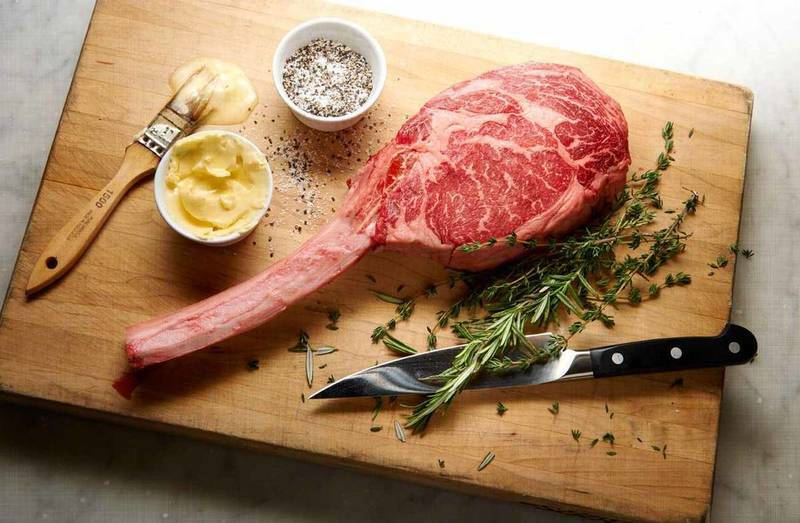 The longstanding institution proves its longevity throughout its menus with chef-driven cuisine unparalleled in the steakhouse scene. For dessert, pastry chef Jeree Milton oversees an impressively extensive selection of fresh, seasonally inspired and occasionally tropical dishes. Coconut cream pie gets an extra dose of coconut from its macaroon crust, while key lime pie gets a dose of white chocolate and fresh cream. In addition to assorted flavors of housemade gelati and sorbet (the salted buttered caramel bacon is a favorite gelato for good reason), the turtle gelato pie is a summer essential, piled high on an Oreo cookie crust. STK Atlanta: At locations across the country, customers can always count on STK to delight with innovative, offbeat creations. Dessert is certainly no exception, as evidenced by the lineup on deck at the Atlanta outpost. Here, you’ll find mini ice cream cone samplers that are as delicious as they are cute. Along with banana cream pie in a jar with housemade vanilla wafers, butterscotch and vanilla custard. The tiramisu is a fixture as well, comprised of housemade ladyfingers, espresso, mascarpone mousse and a splash of Kahlua.